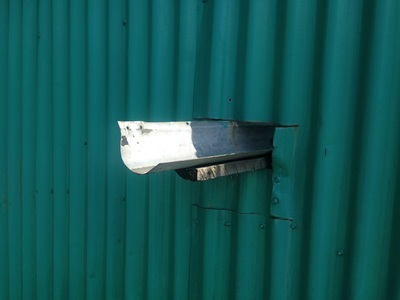 In the world of home drainage systems, I learned that there's a concept called "draining to daylight", which means that after rainwater flows through your gutters to your downspouts, it should be diverted further downslope, off of your property, in the notional direction called "daylight." 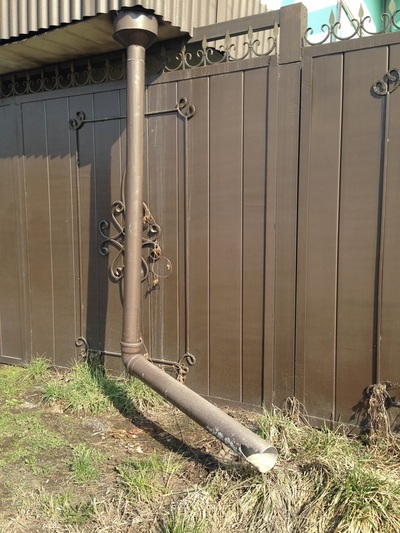 The idea is to get the water as far from your home as possible - you don't want it seeping into the soil and ruining your foundation! 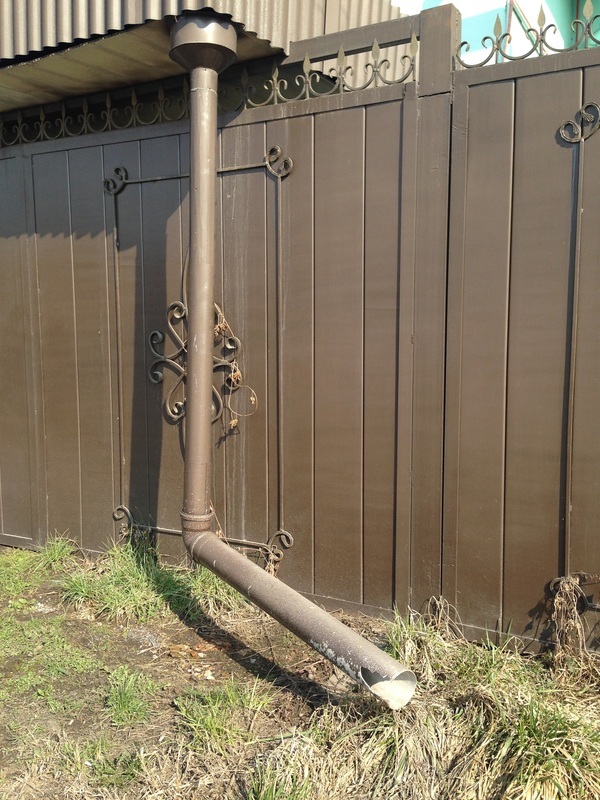 In a professionally-installed system, this might mean installing a drain at the bottom of your downspout called a "gully", which could lead to an underground pipe called a "French drain." 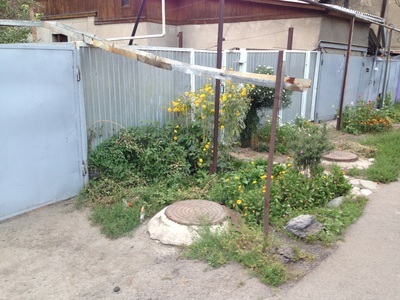 Sometimes this water can be collected for your own personal irrigation purposes, and other times it can be sent to a municipal stormdrain system. 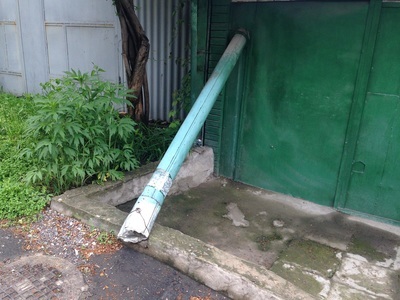 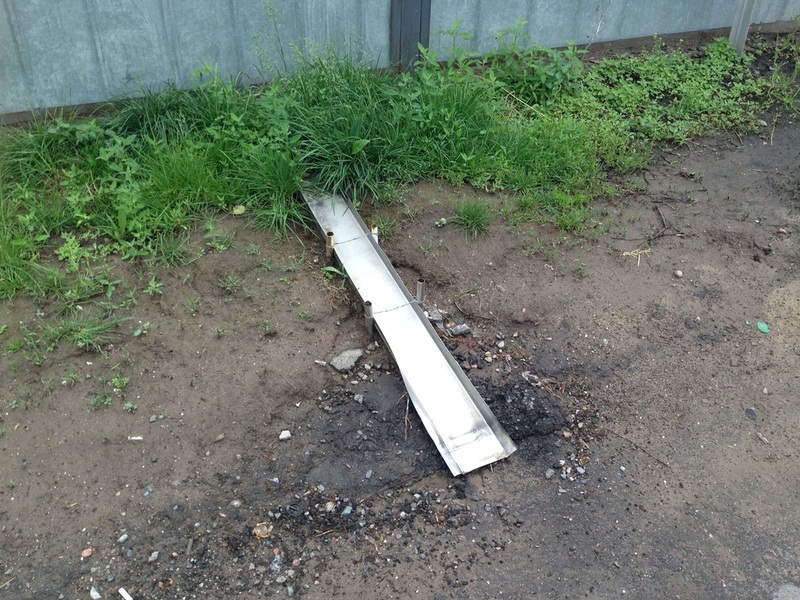 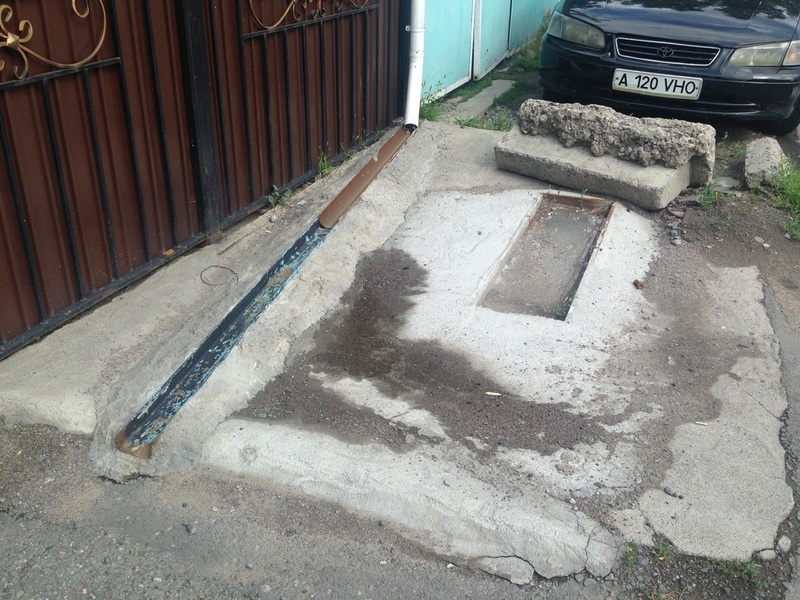 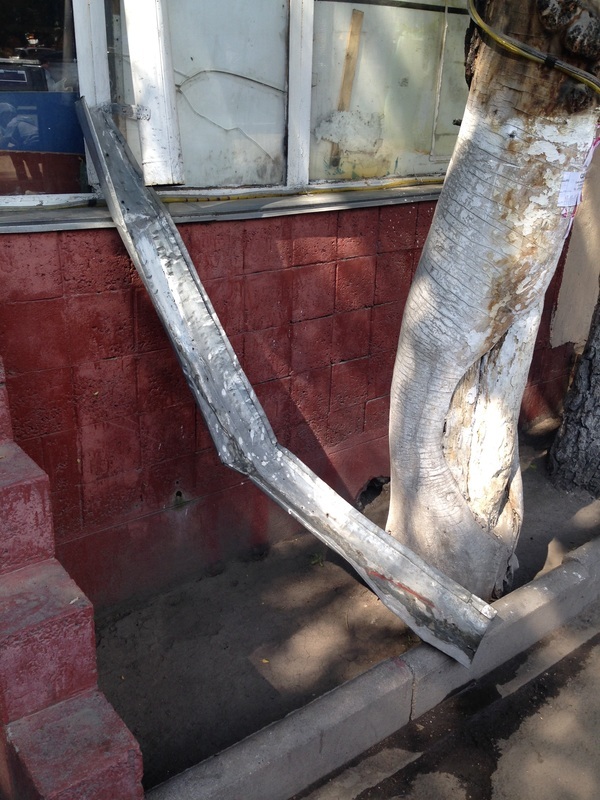 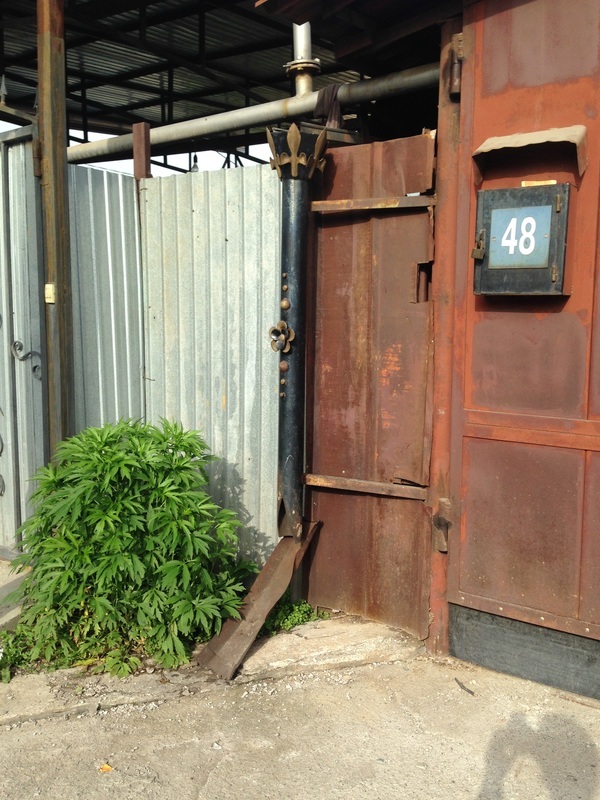 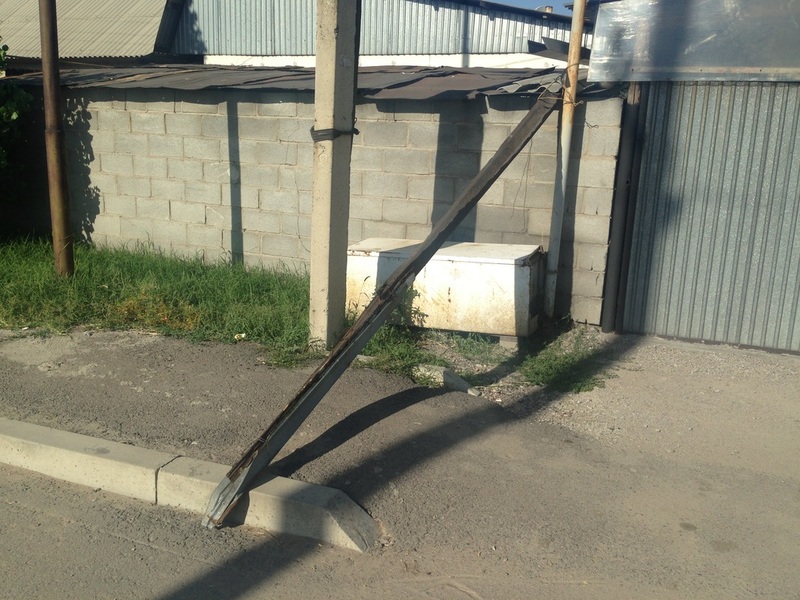 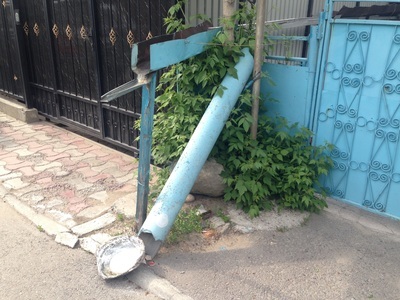 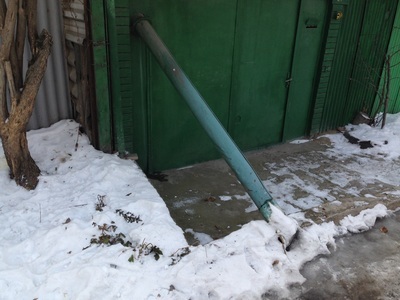 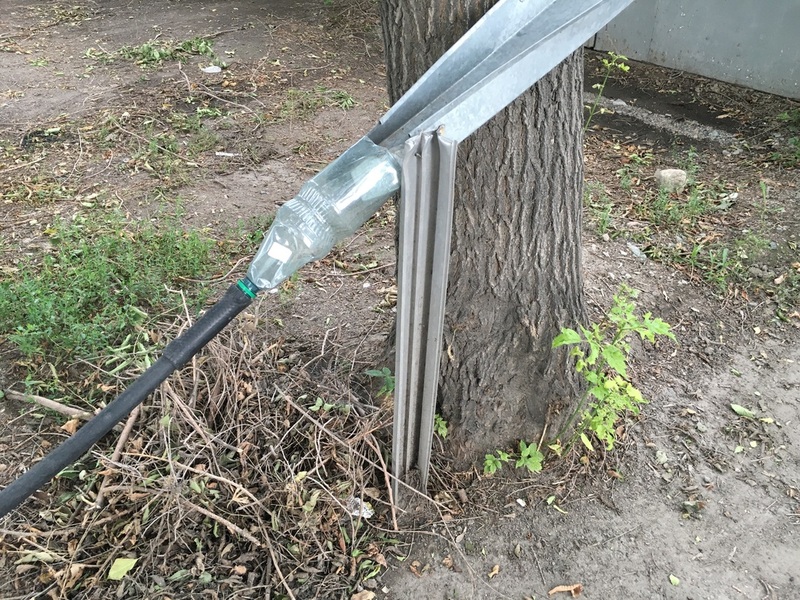 In Almaty, the drainage systems aren't always so sophisticated. Lots are small and homes tend to be close to their property lines. When "daylight" is so close, and installing an underground drainage system can, ahem, be a drain on your wallet, why build a vertical downspout when you can just spit the rainwater out over your fence? 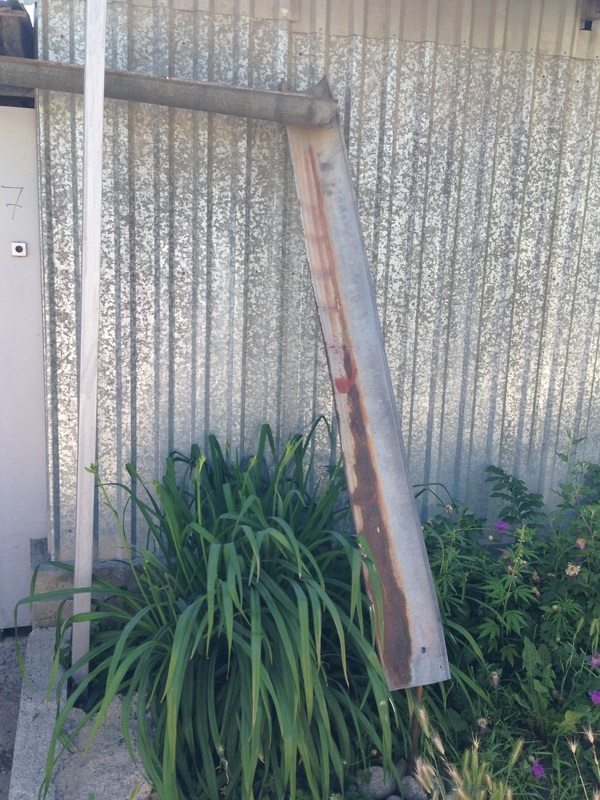 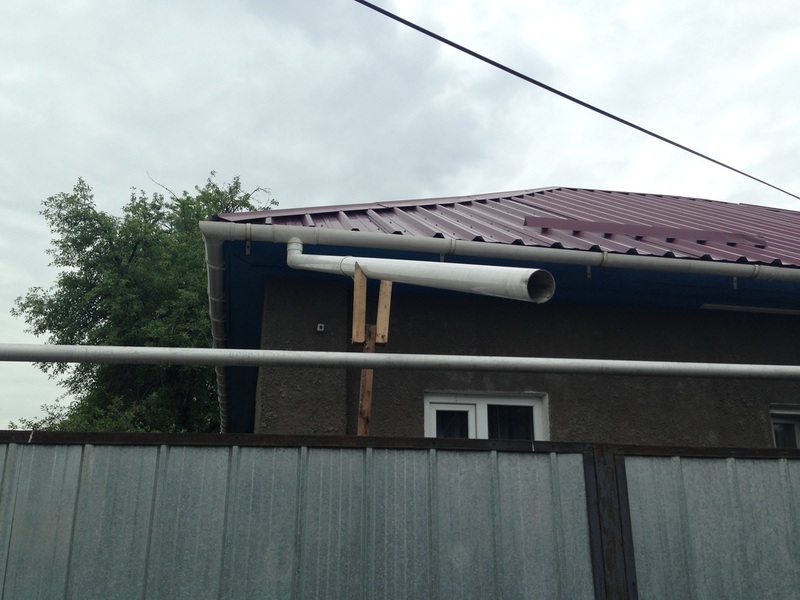 Enter the DIY downspout. 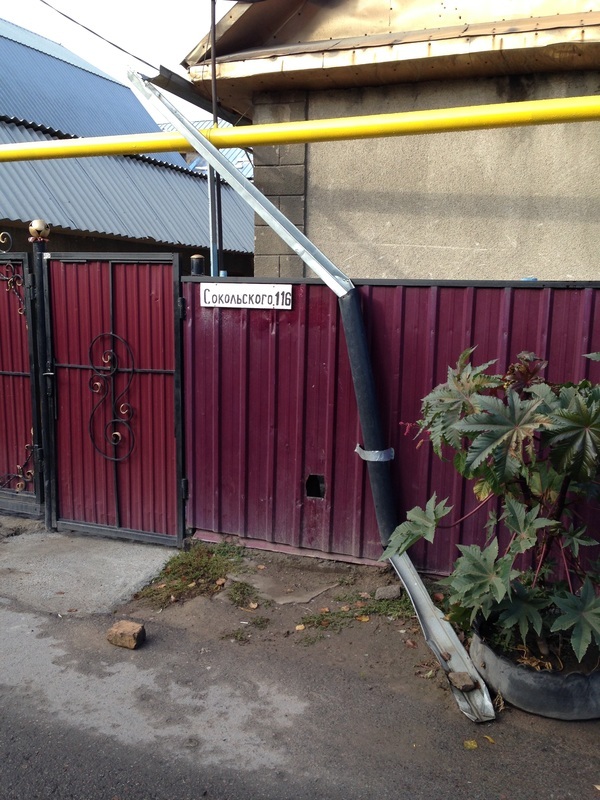 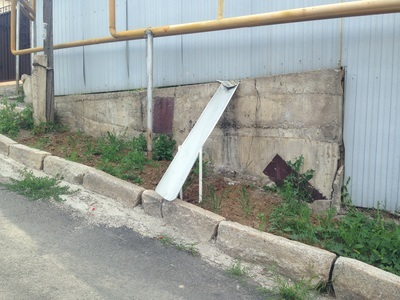 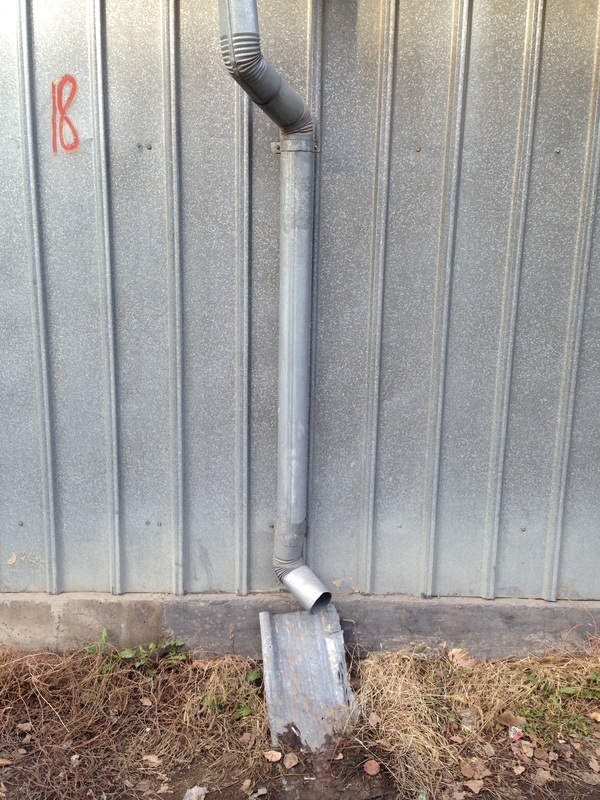 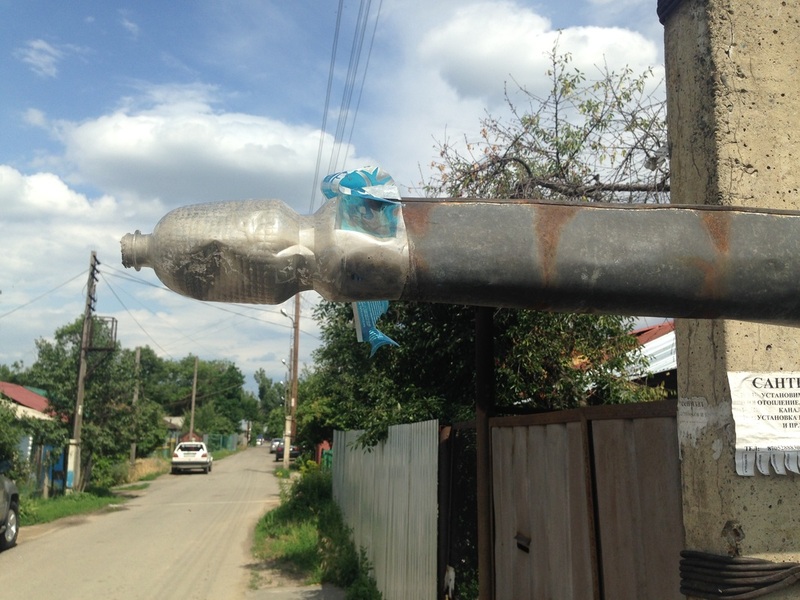 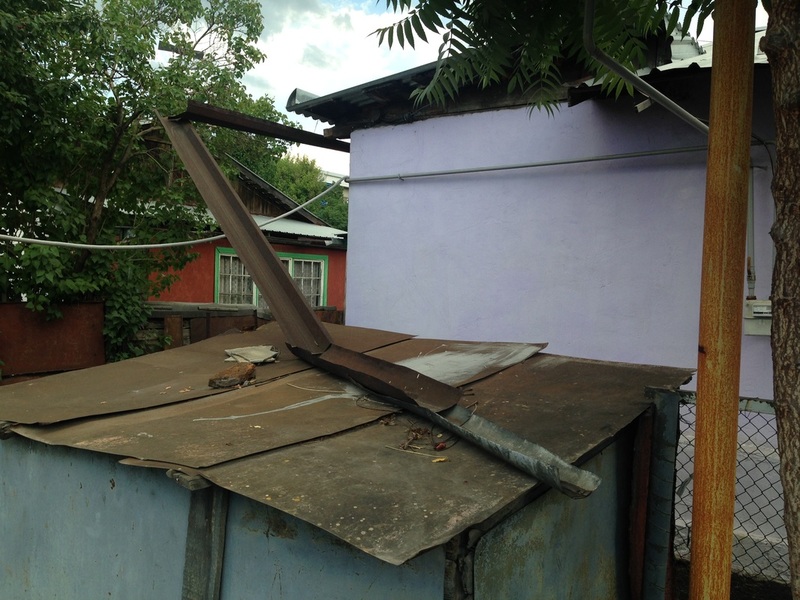 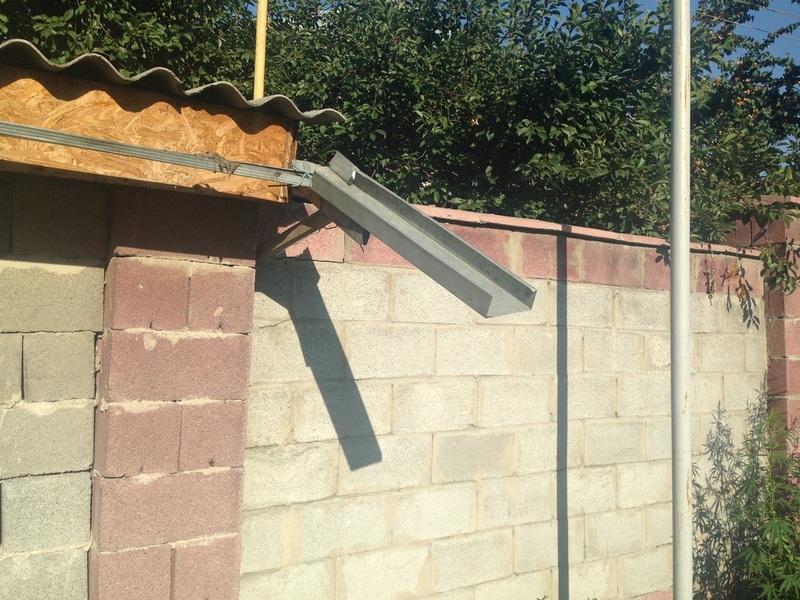 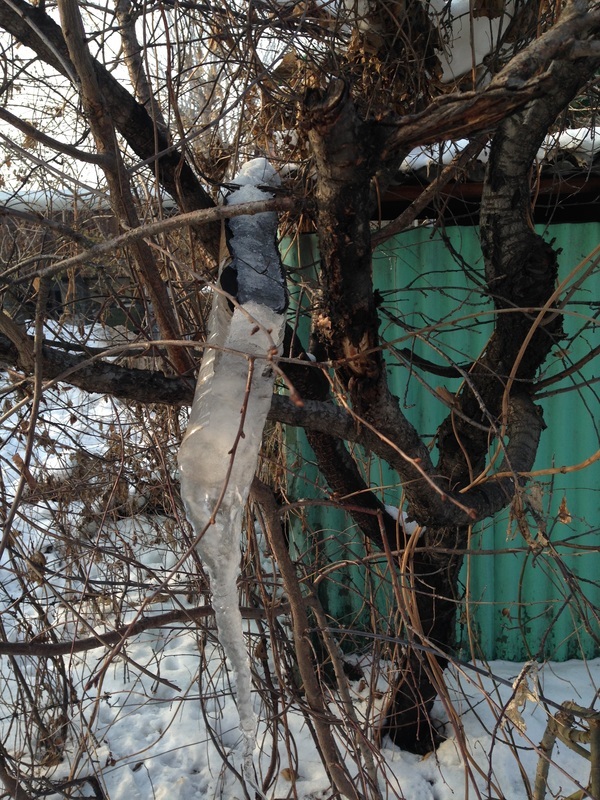 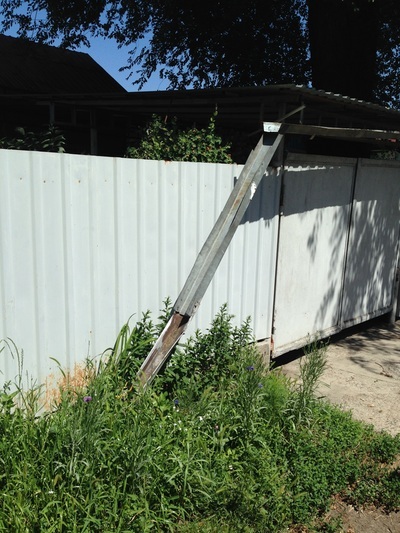 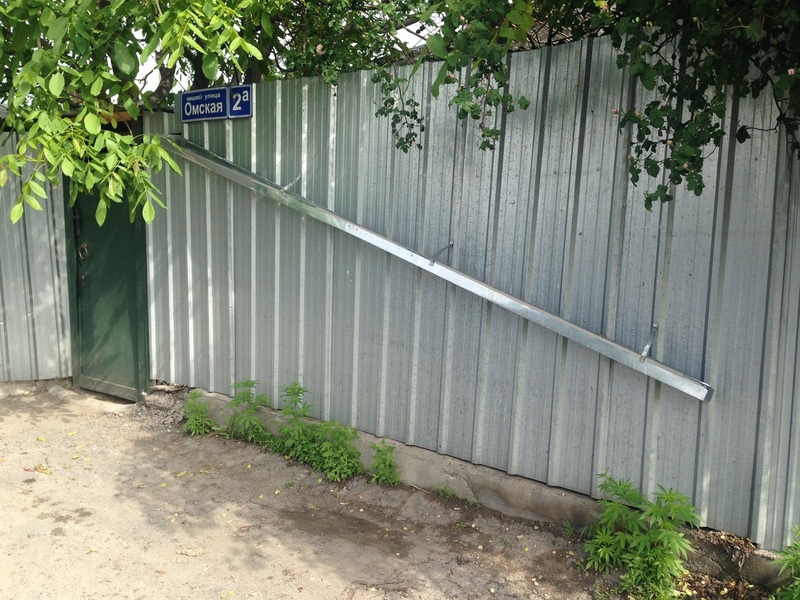 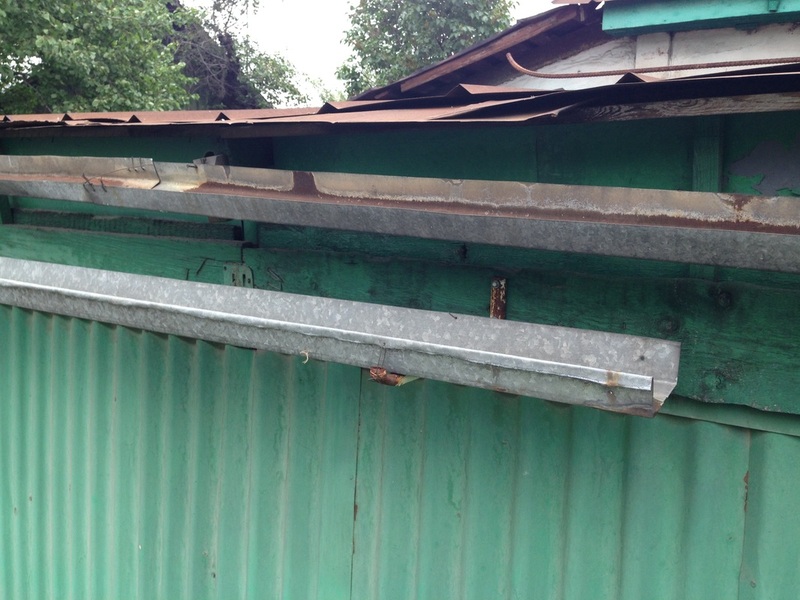 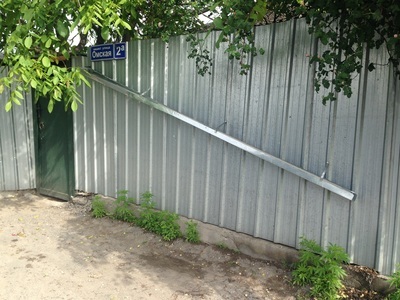 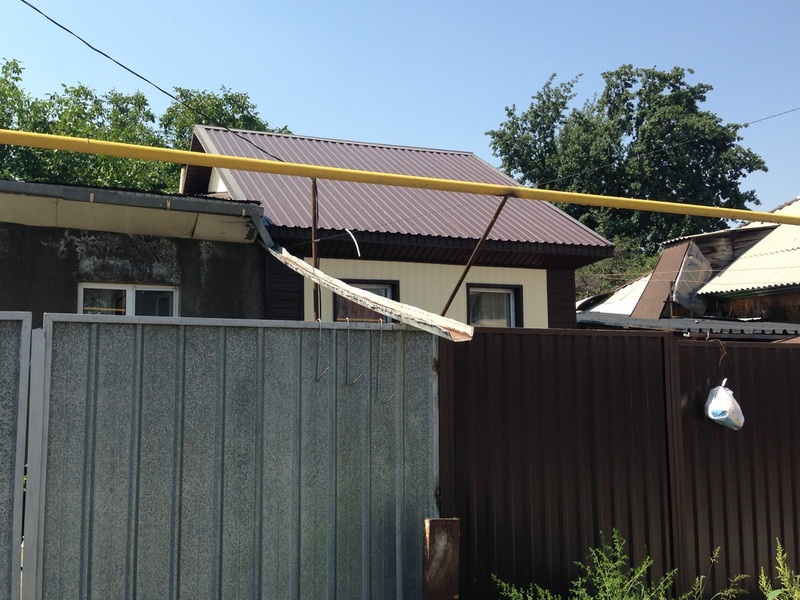 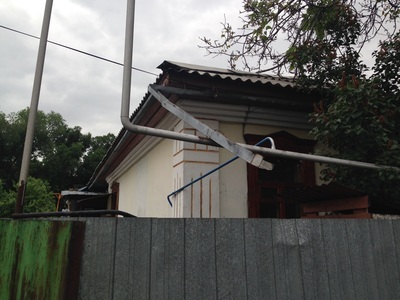 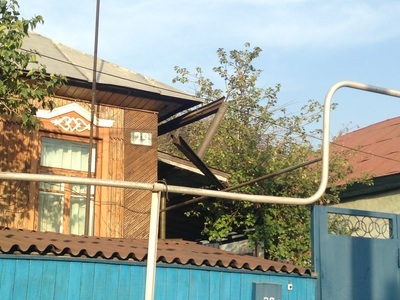 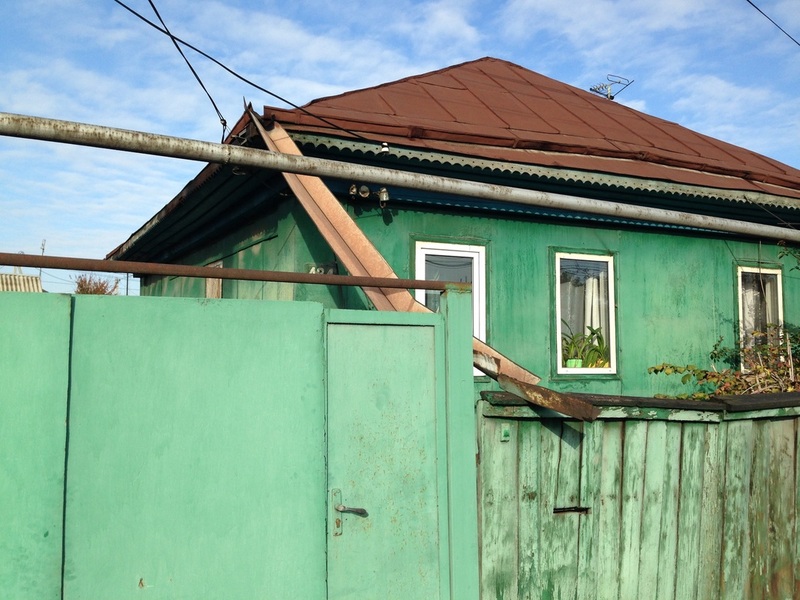 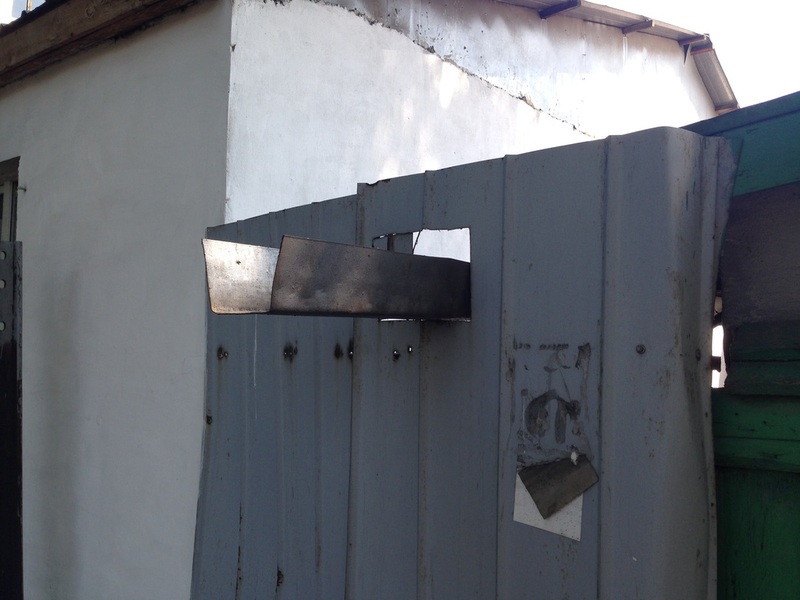 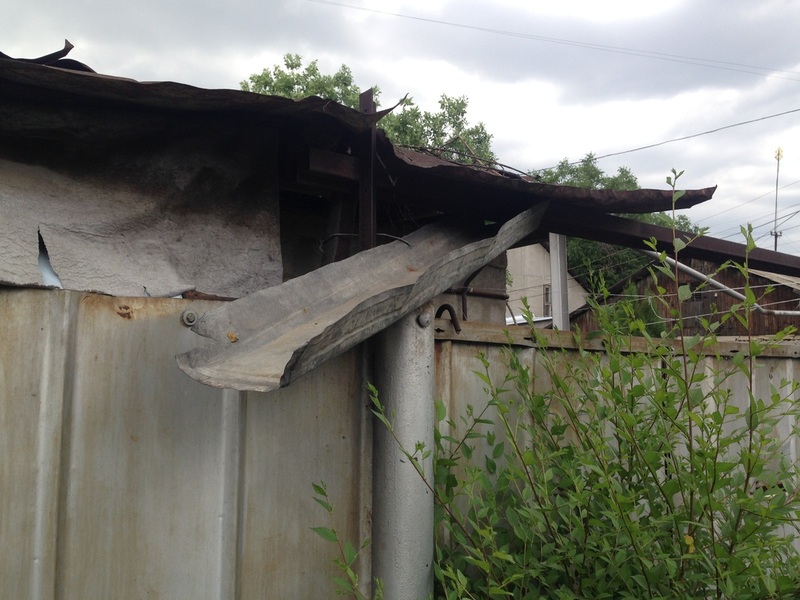 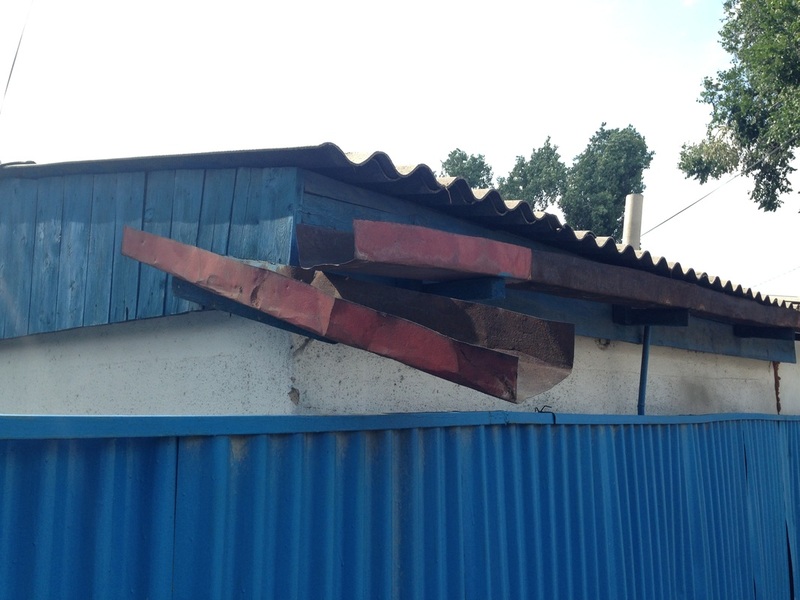 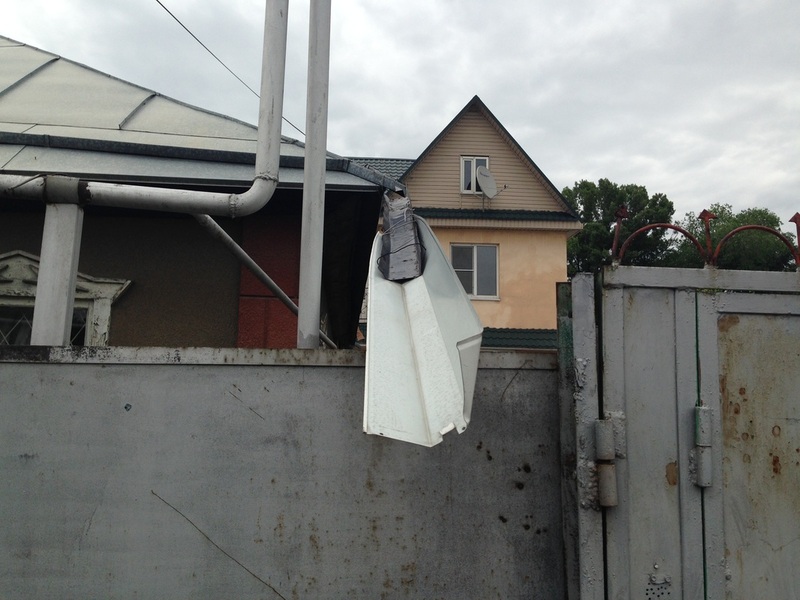 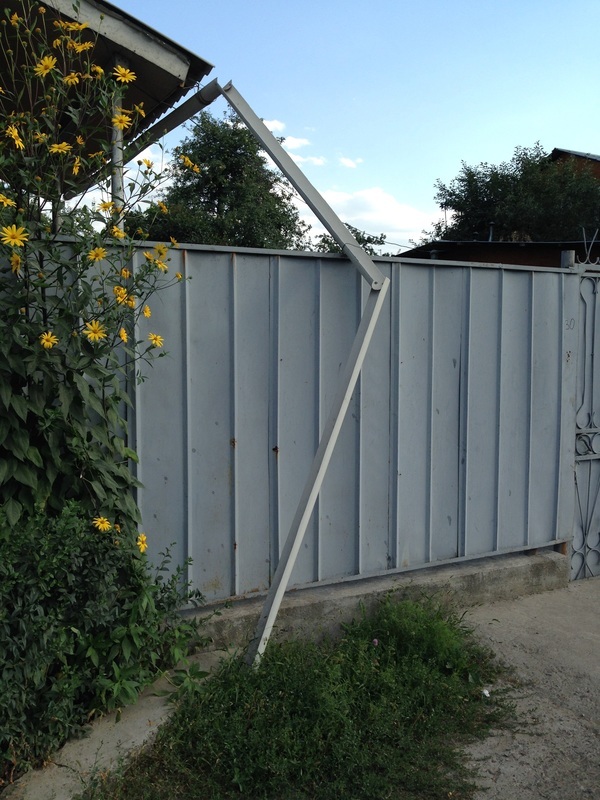 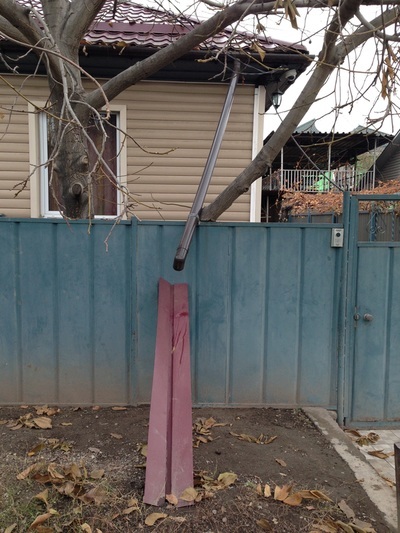 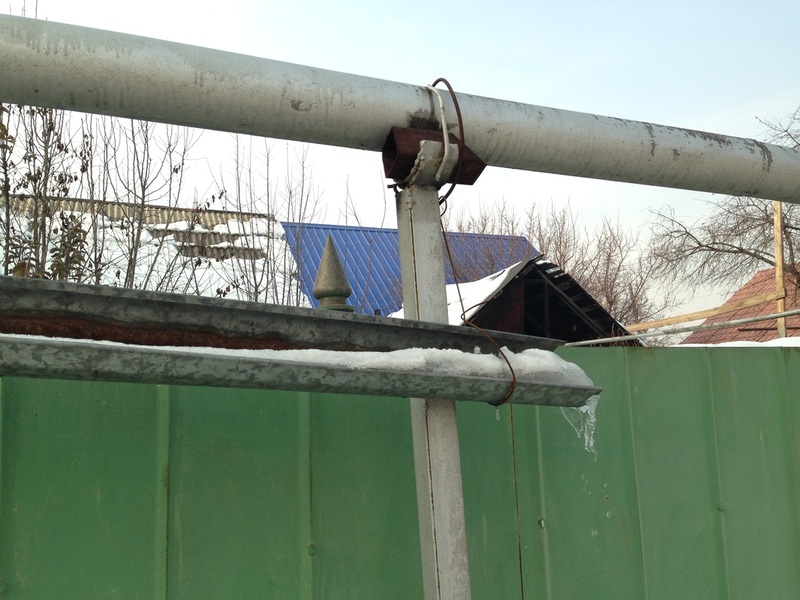 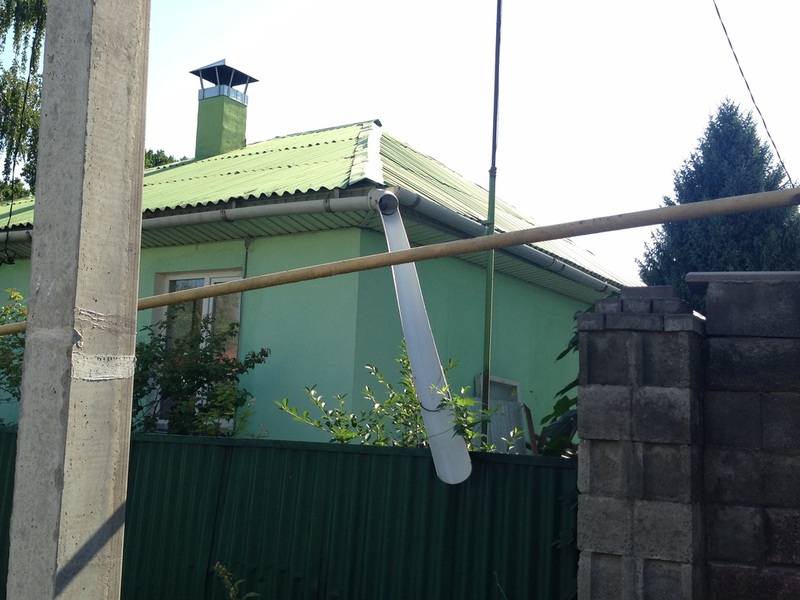 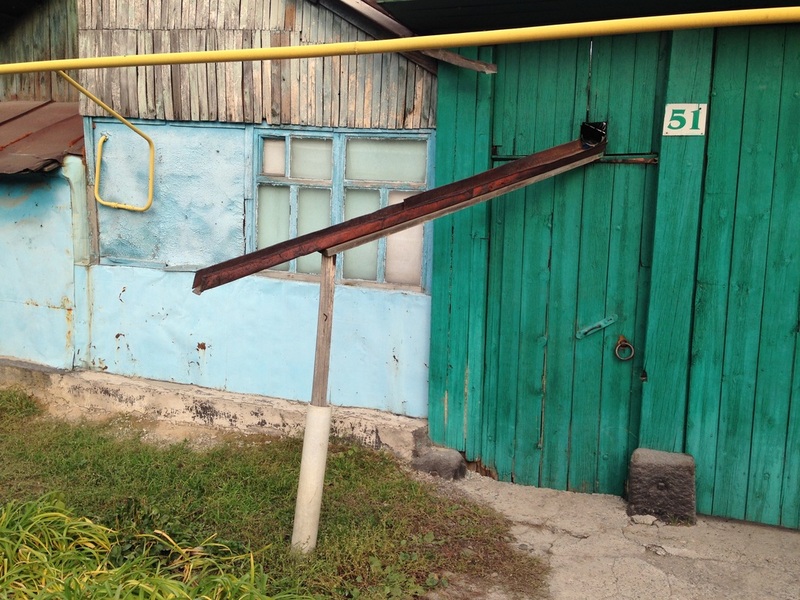 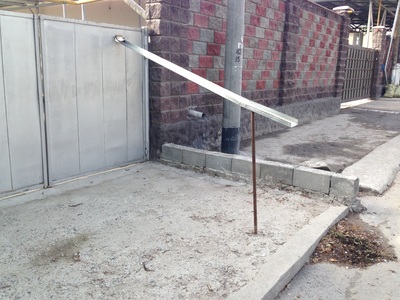 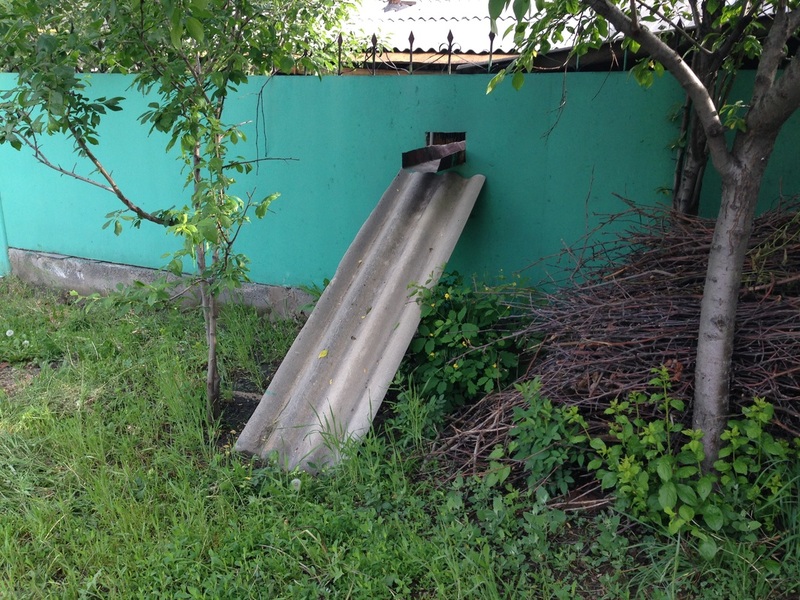 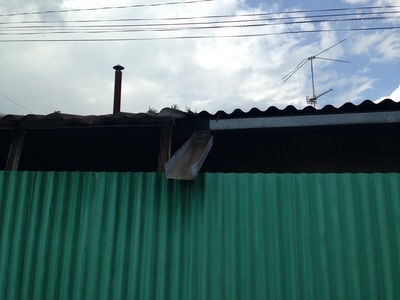 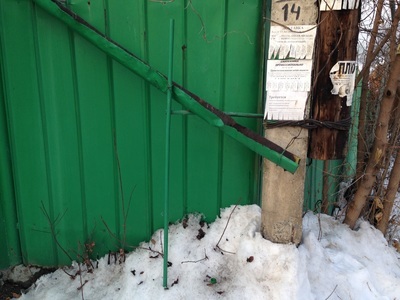 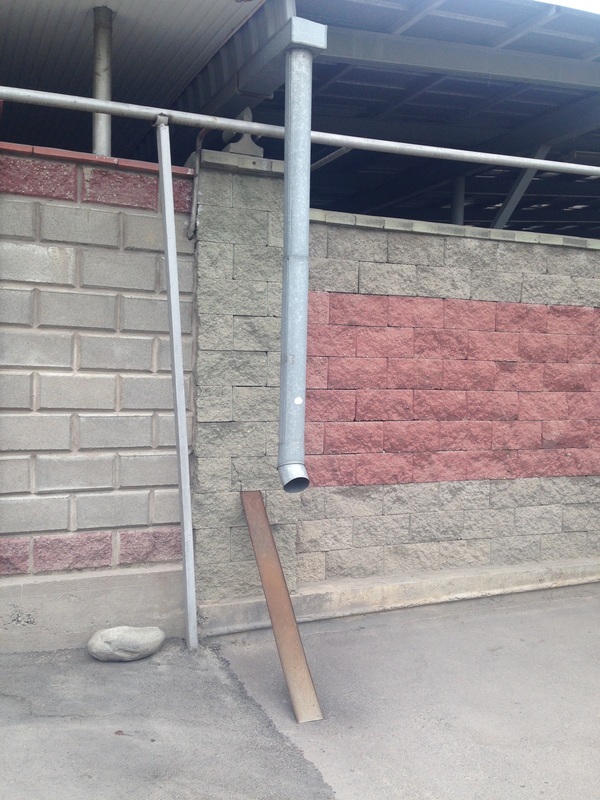 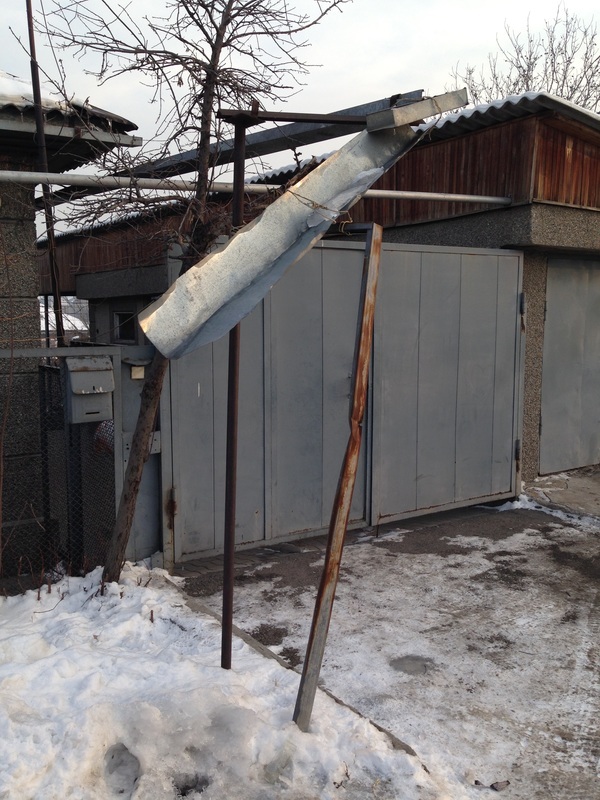 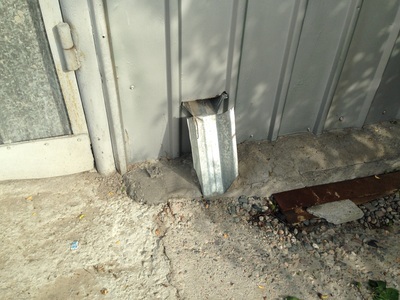 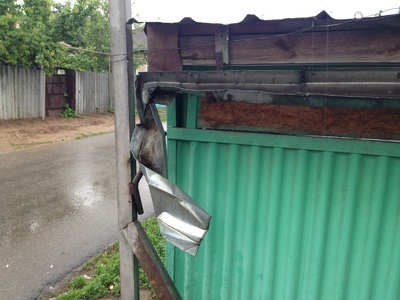 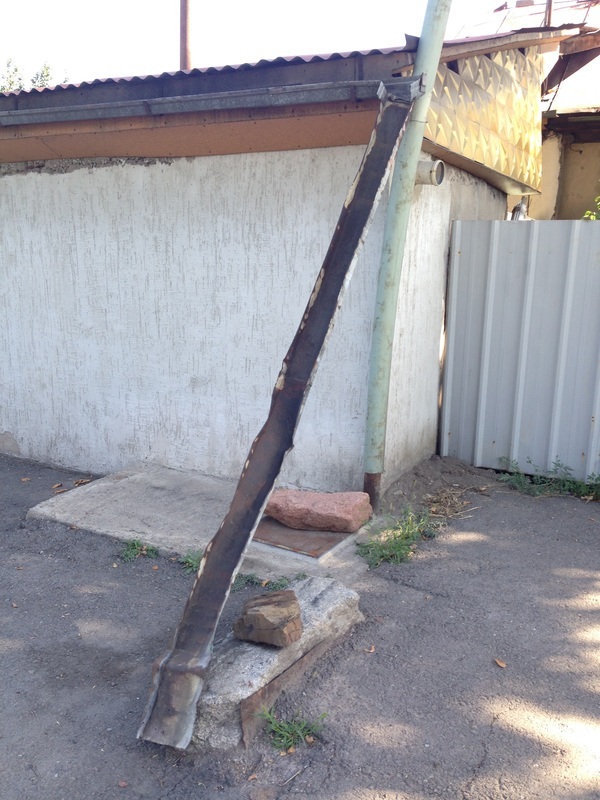 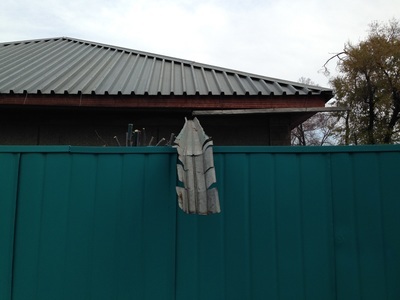 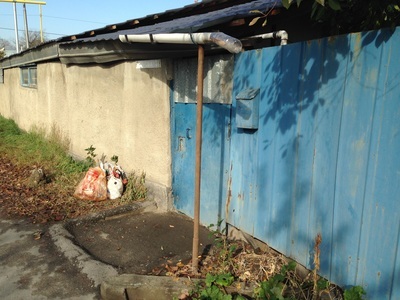 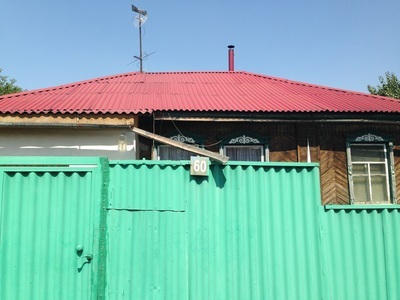 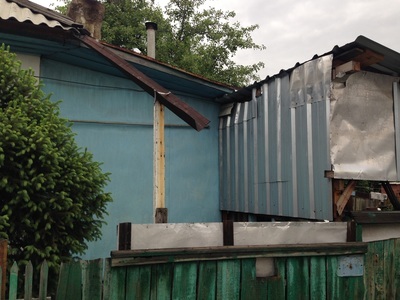 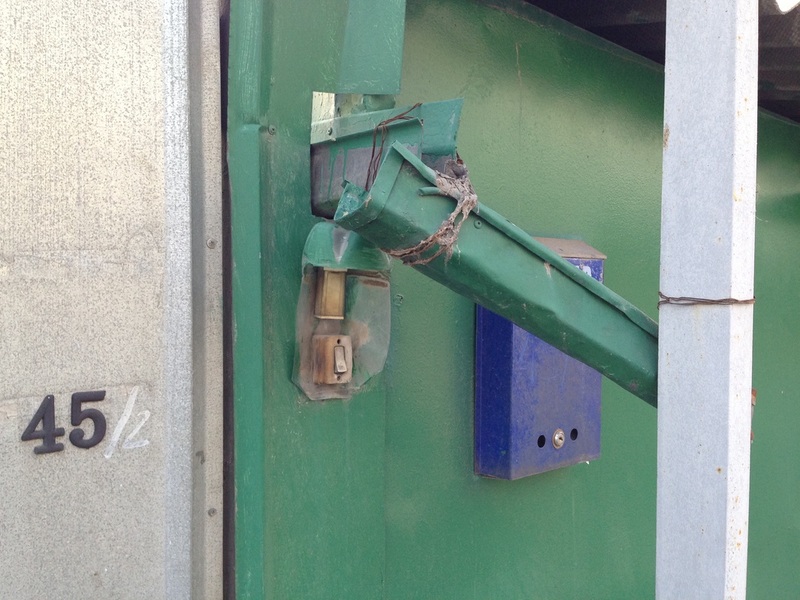 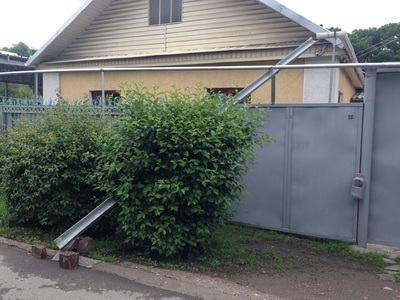 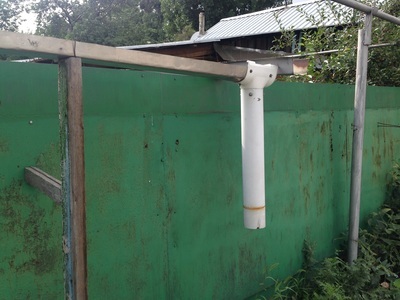 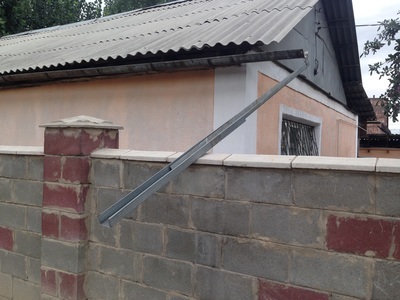 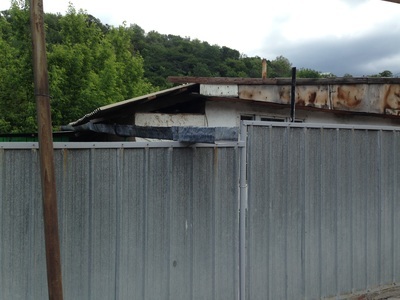 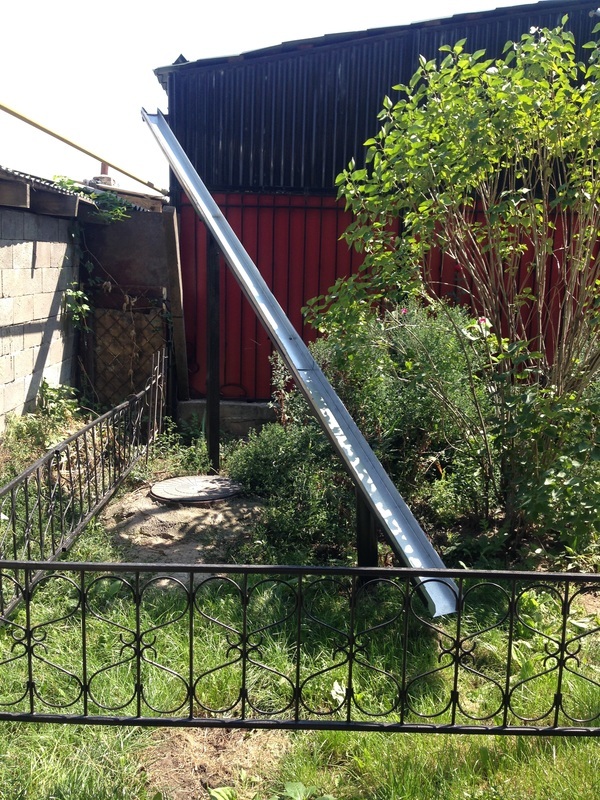 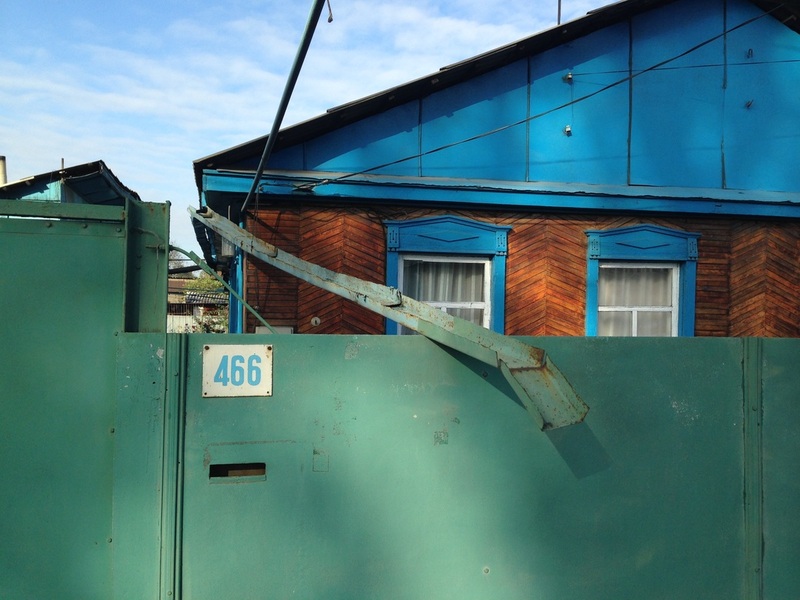 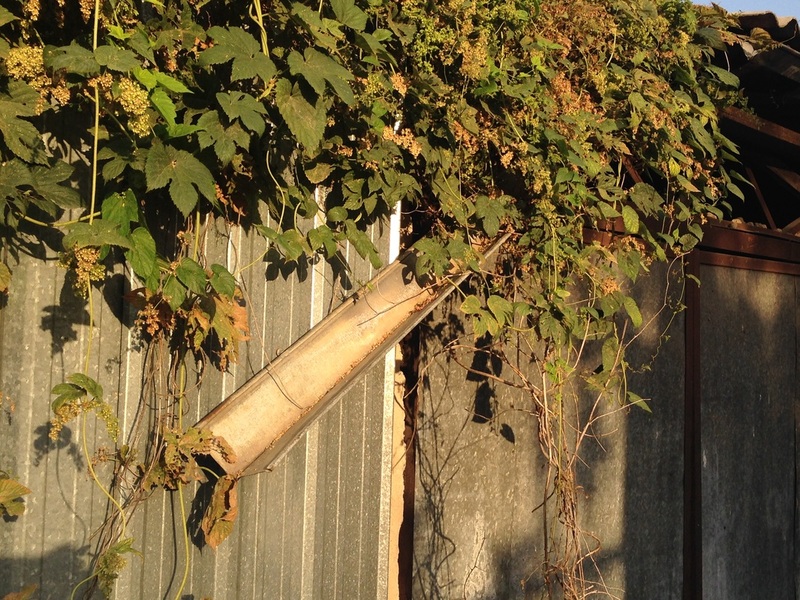 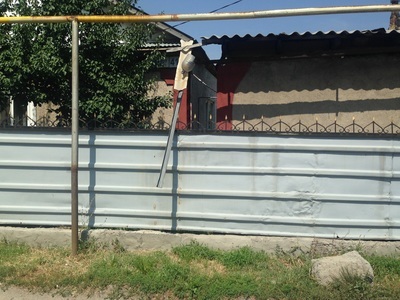 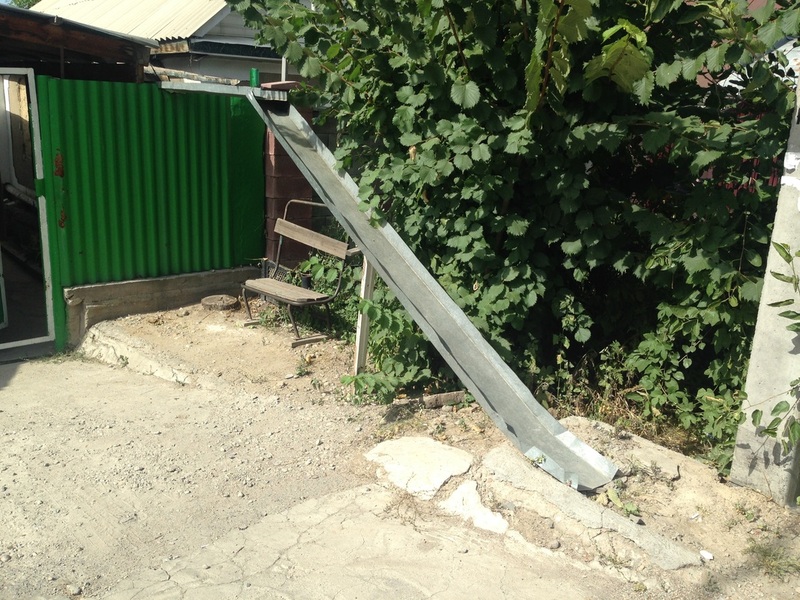 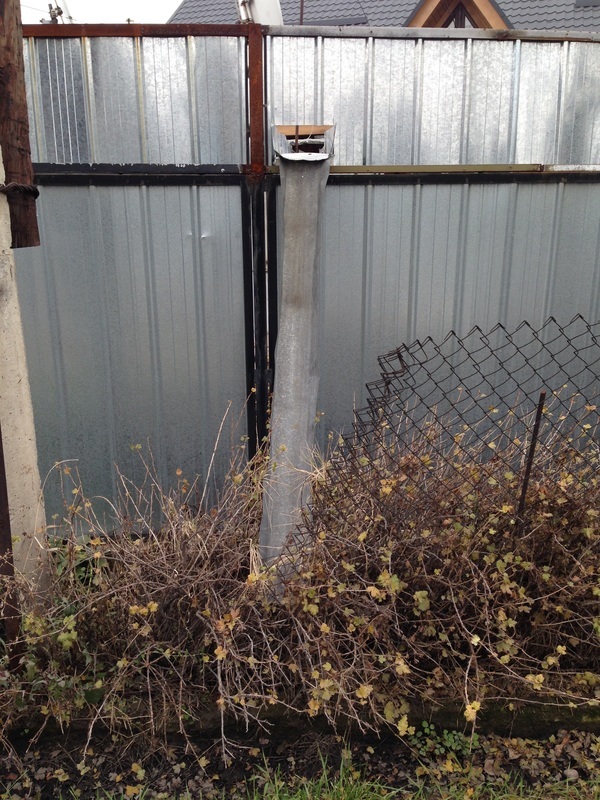 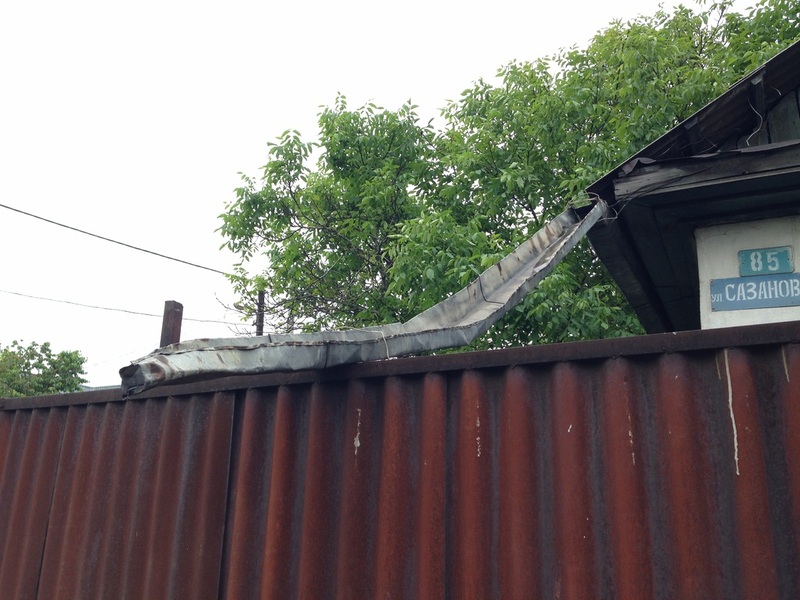 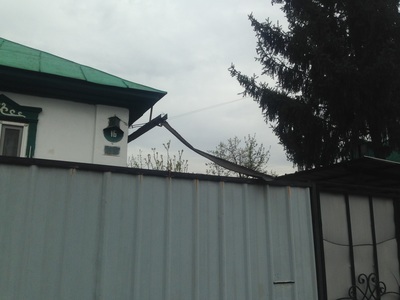 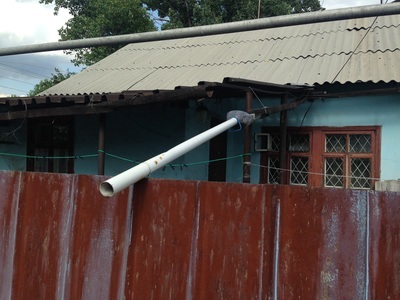 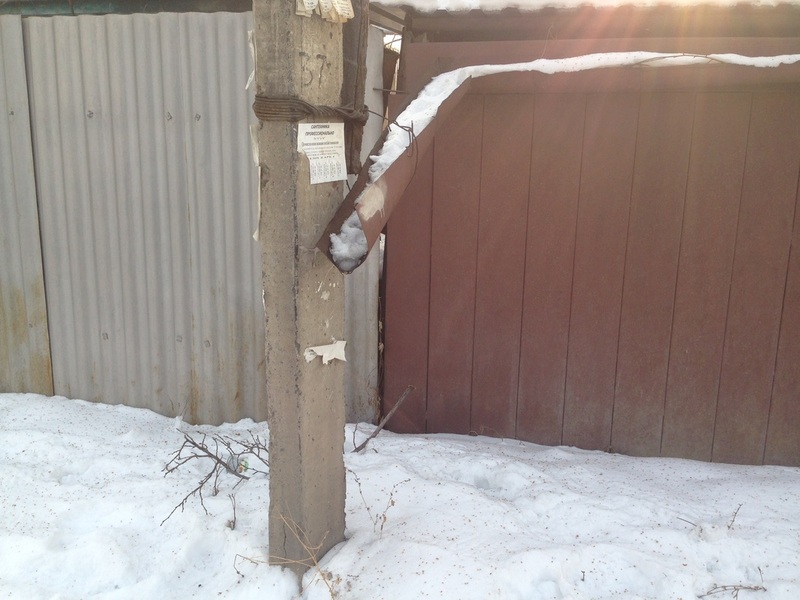 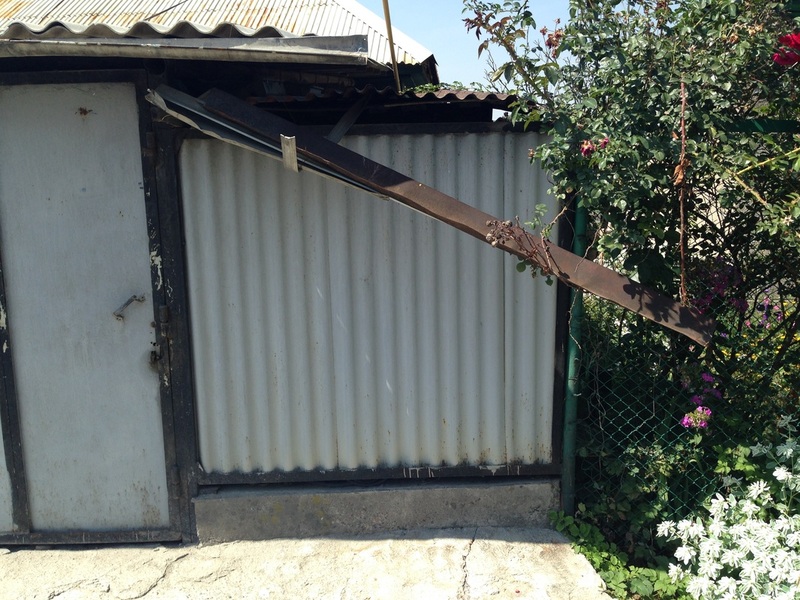 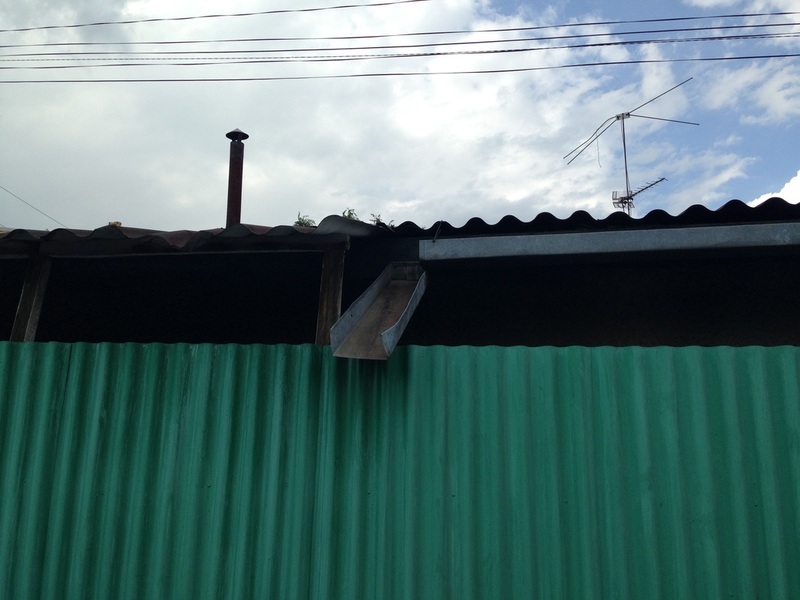 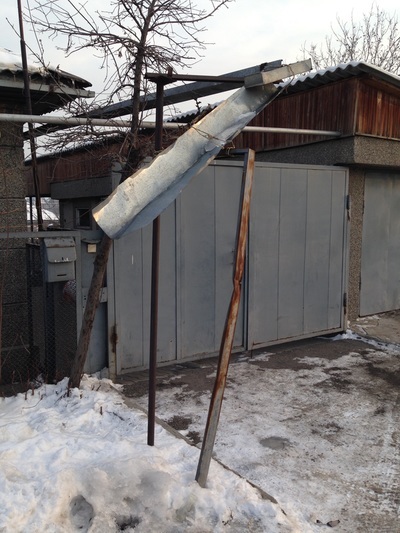 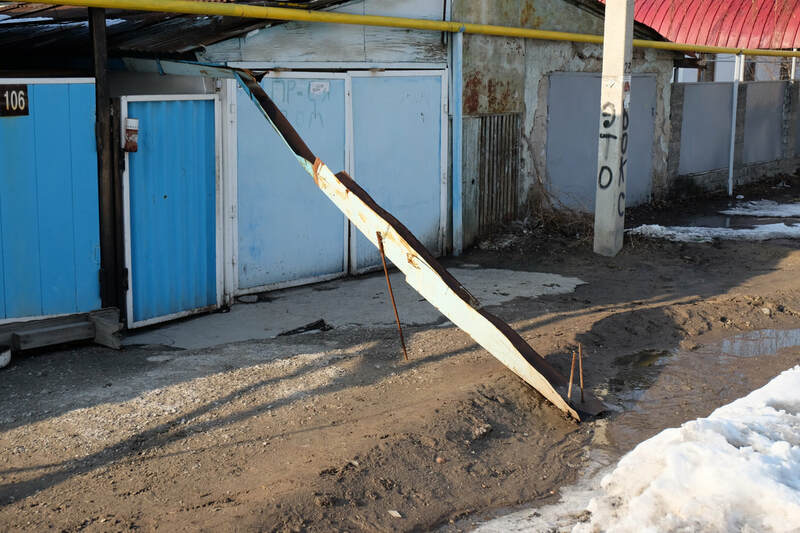 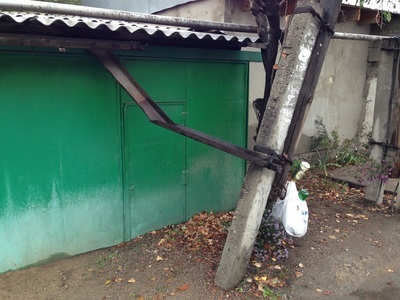 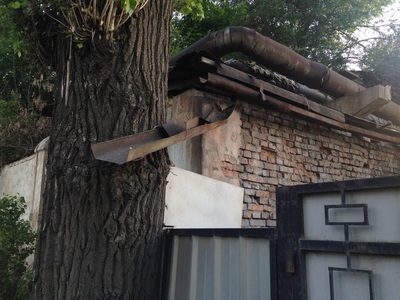 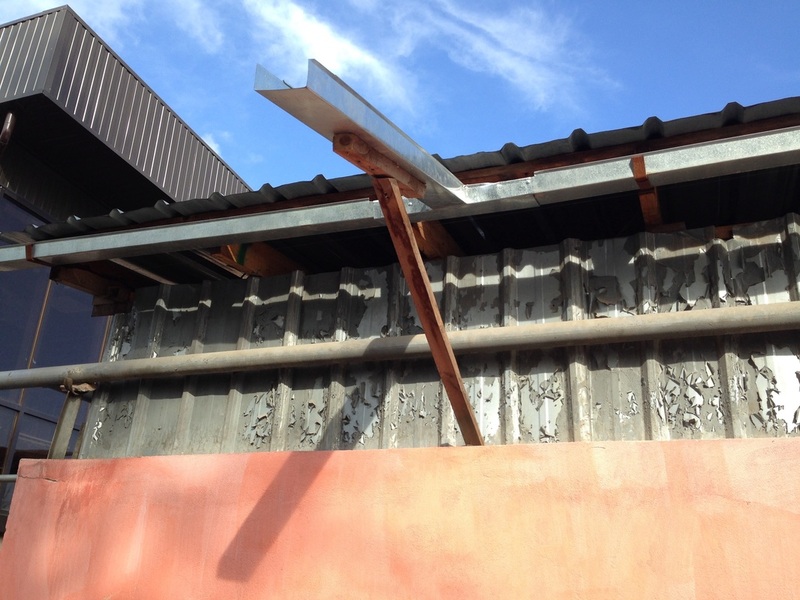 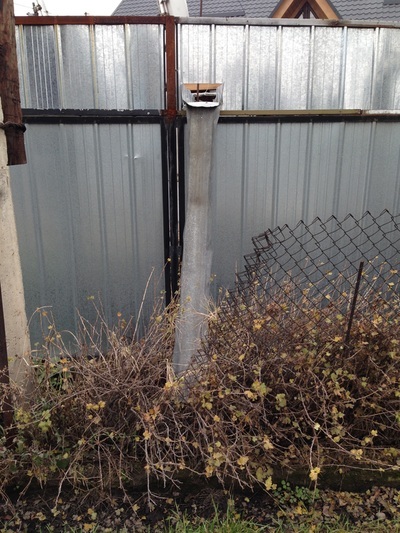 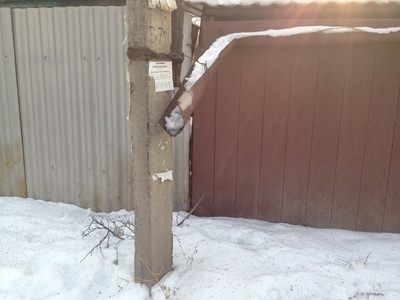 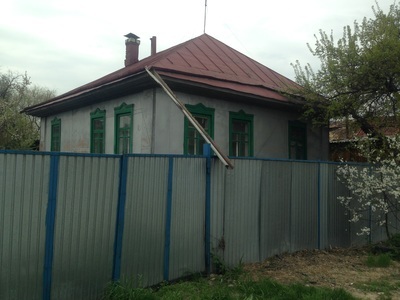 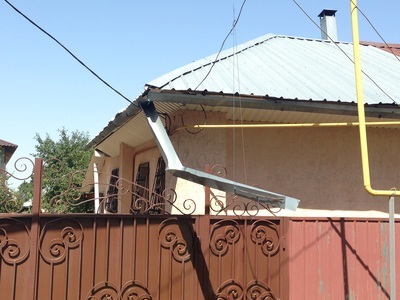 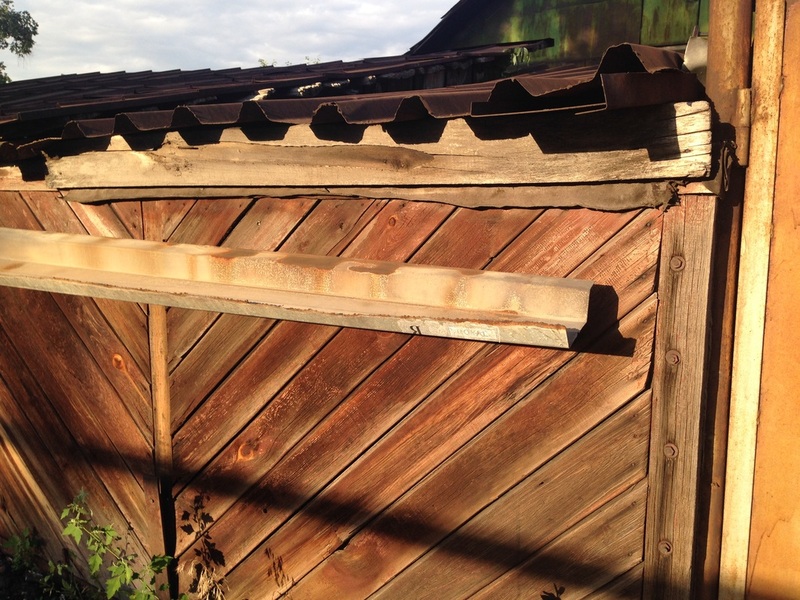 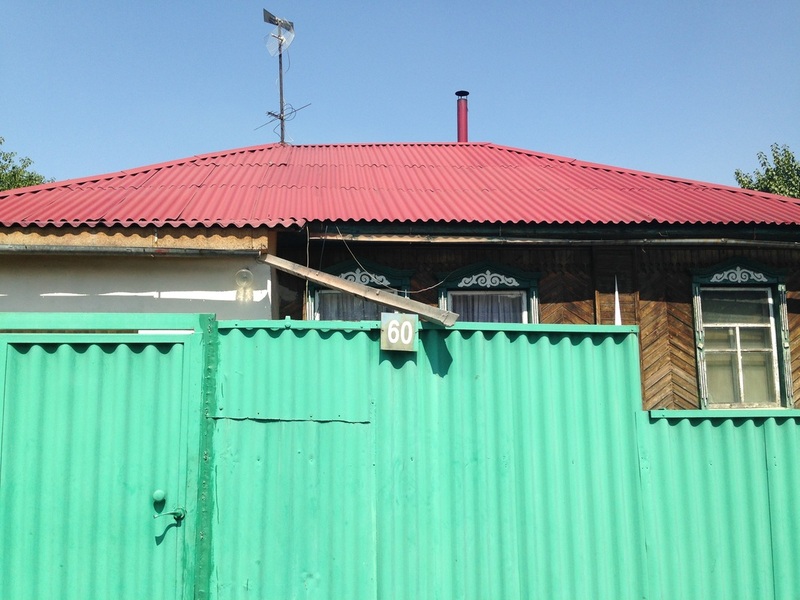 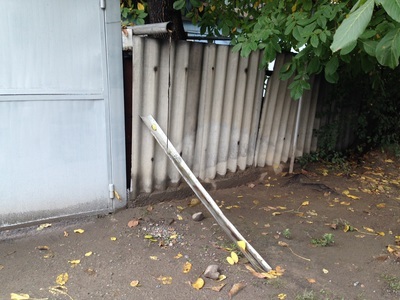 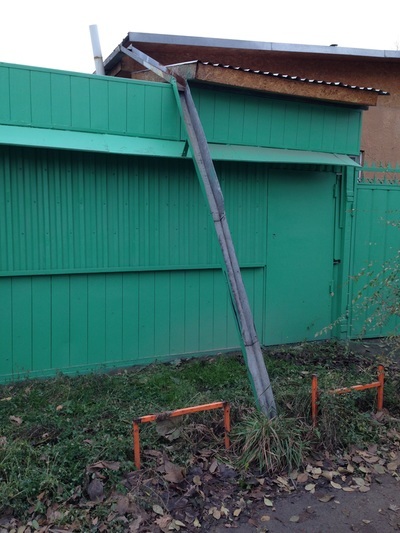 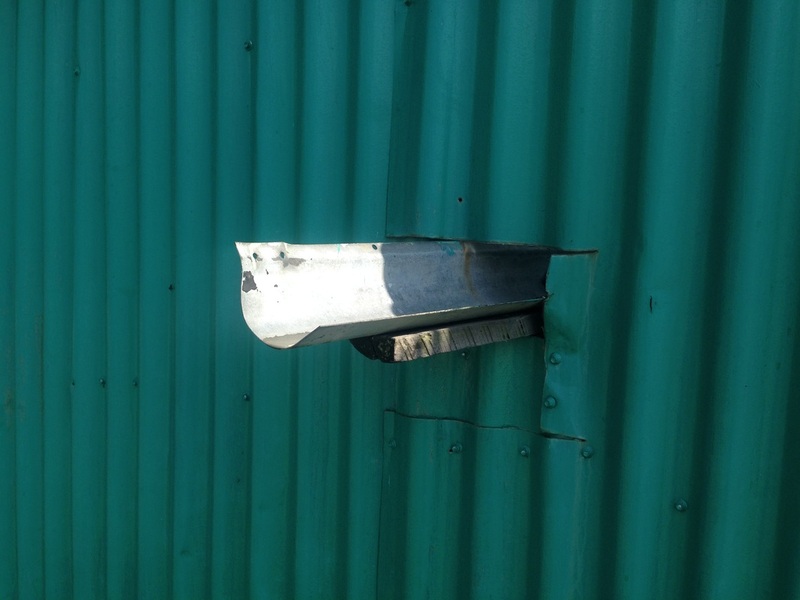 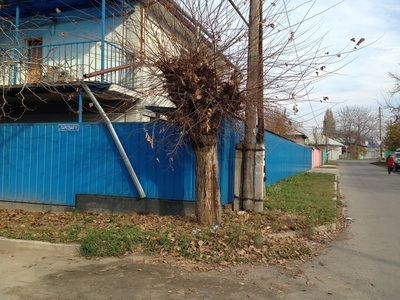 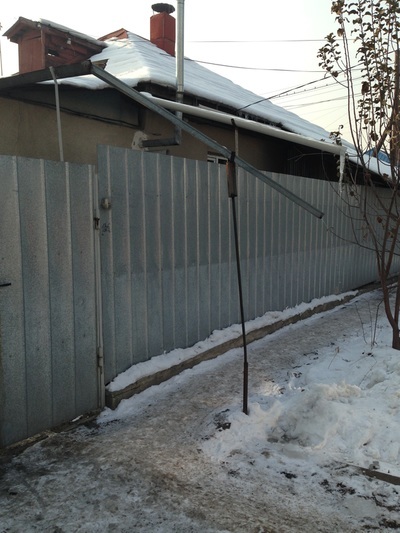 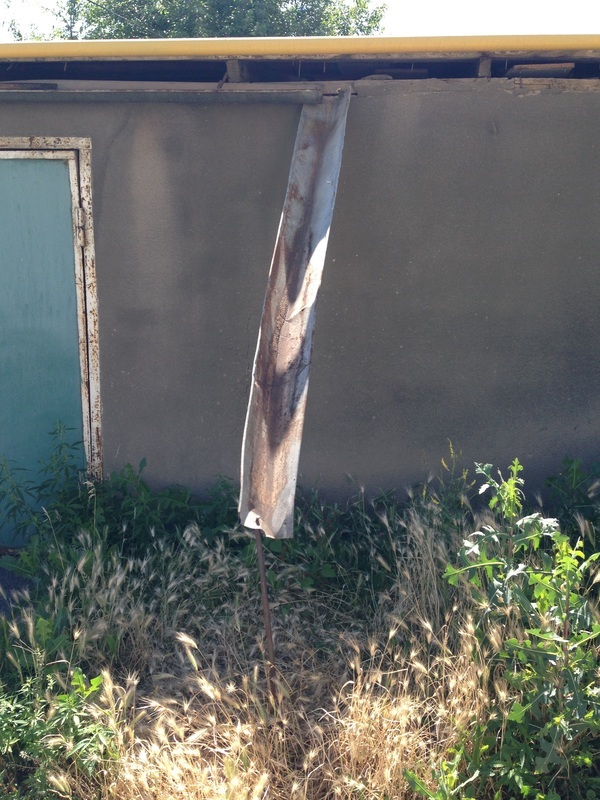 Thousands of Almaty homeowners have jurry-rigged simple chutes onto their gutters, then slanted the chutes over their fences. The results can be quite comical, reminiscent of a relay in a Rube Goldberg device. 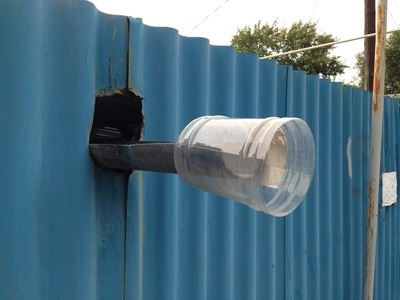 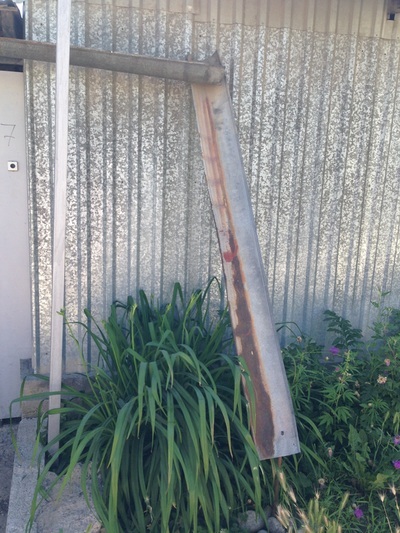 The DIY downspouts are propped up by sticks and rods and poles, rested on trees or telephone poles, or slung from wires hanging from gas lines. When the water gets to ground level, it might be funneled through a piece of corrugated metal, or sent into the trough of a handpump. 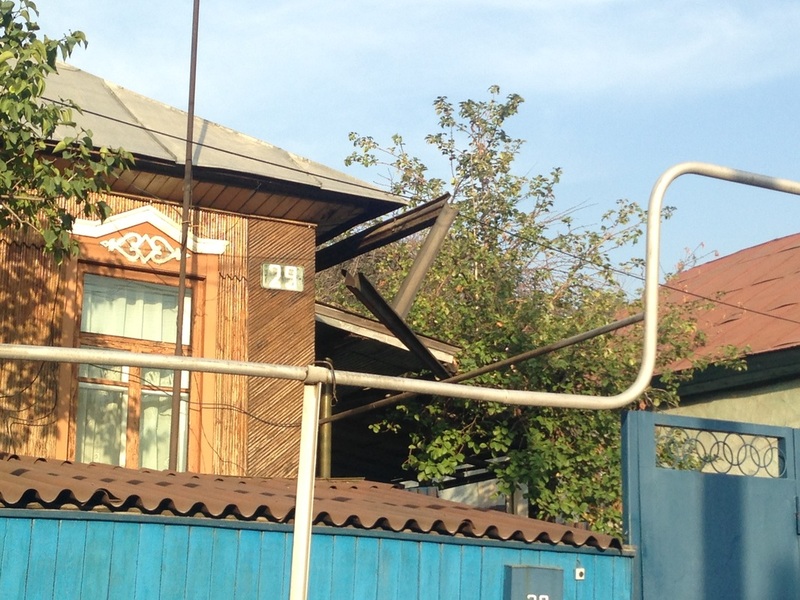 All this ingenuity makes for a uniquely Almaty element: an eyesore, perhaps, but certainly a curiosity.